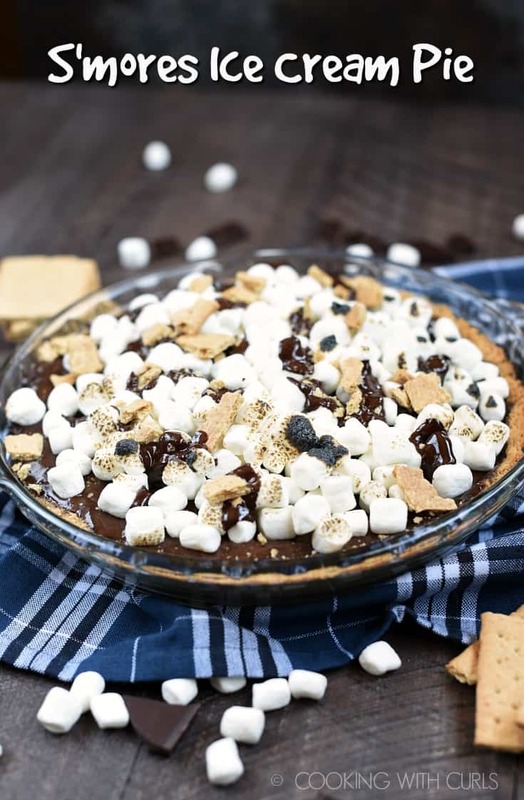 No campfire is required to make this cool and delicious S’mores Ice Cream Pie, although a blow torch is quite helpful but not required if you do not have one! Or in my case, I couldn’t get mine to work. 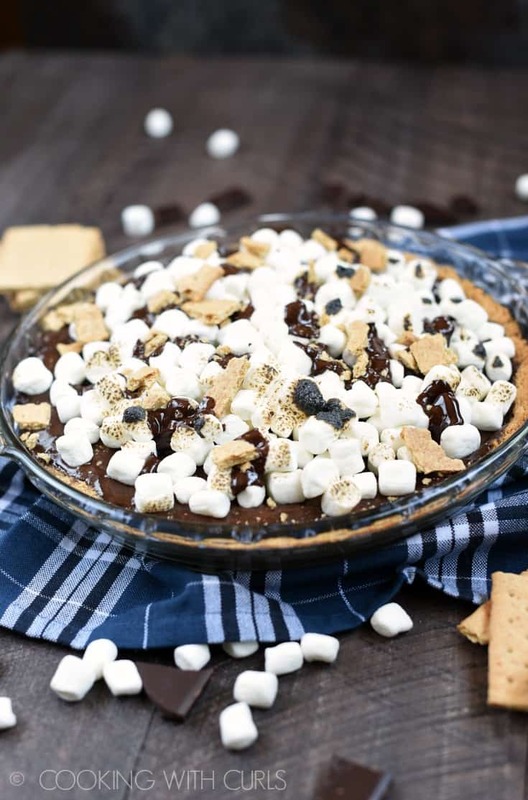 Nothing was going to stop me from creating the perfect summertime dessert to satisfy my cravings for chocolate, graham crackers, and charred marshmallows….. 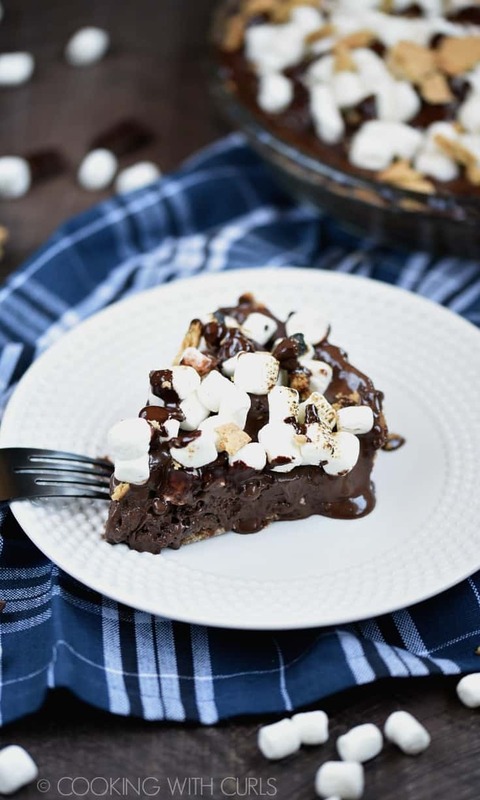 This S’more Ice Cream Pie is easily adapted for those who cannot consume dairy, like me, and you don’t sacrifice any of the deliciousness!! I used SO Delicious Dark Chocolate Truffle CashewMilk “ice cream” and a Ghirardelli 72% Dark Chocolate Bar because 1) I have to and 2) I prefer dark chocolate to light. I used good old Honey Maid graham crackers, although you could swap them out for gluten-free if needed. I used regular unsalted butter because it does not contain lactose. 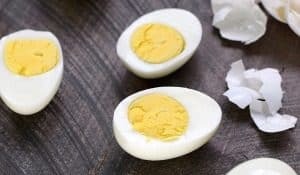 I am allergic to coconut and soy but coconut oil or a non-dairy butter substitute would be perfect for those looking for completely dairy-free or vegan. 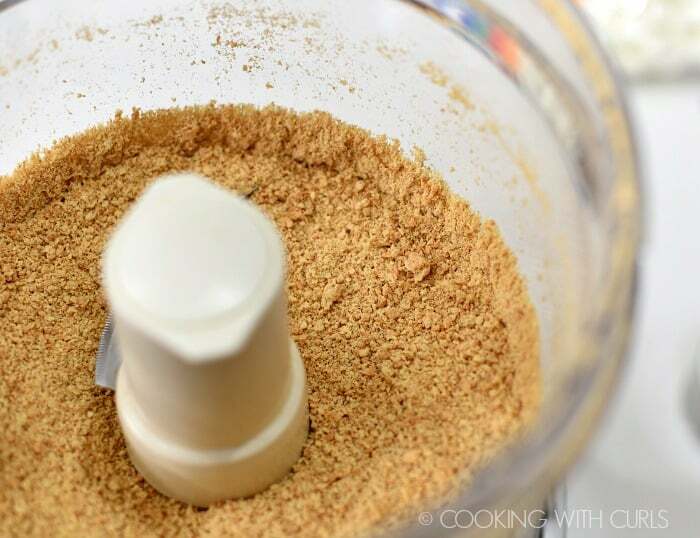 Place the graham crackers into the bowl of a food processor. Pulse to pulverize into crumbs…..
Add the sugar and melted butter, pulse to thoroughly combine. Press the mixture into a 9-inch pie pan, making sure the crust goes up the sides of the pan…..
Bake the pie crust for 10 minutes. Remove from oven and place on a wire rack to cool completely. Place the ice cream on the counter to soften, OR wait until the pie crust is cooled and place the ice cream in the microwave for 45 to 50 seconds to soften. 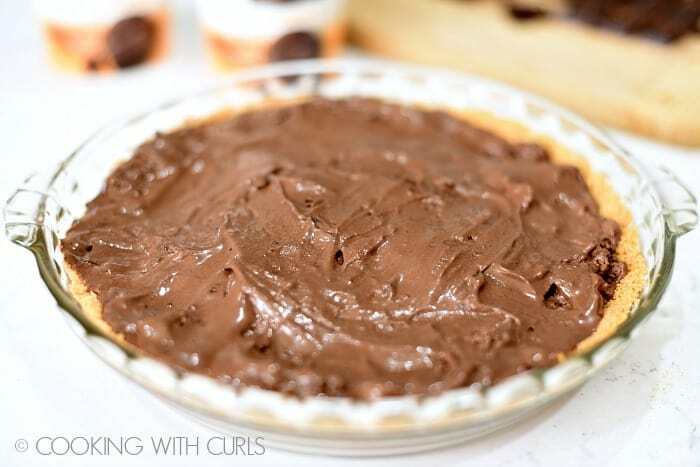 Pour the softened ice cream into the cooled pie crust and smooth with rubber spatula…..
Place in the freezer to harden, at least 3 hours or overnight if preparing ahead of time. 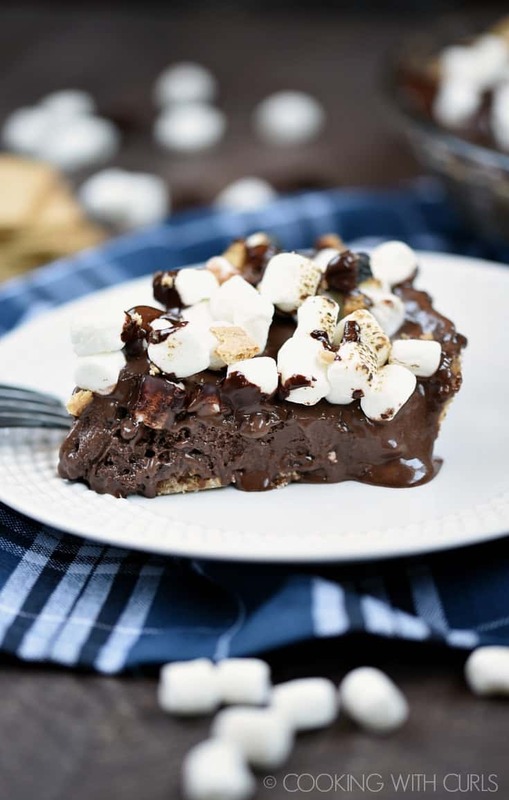 When ready to serve, top the frozen ice cream with the mini marshmallows and chocolate chunks…..
Use a blow torch to toast the marshmallows and soften the chocolate. If you do not have a bow torch, place the pie under the broiler until the marshmallows swell and start to turn golden. 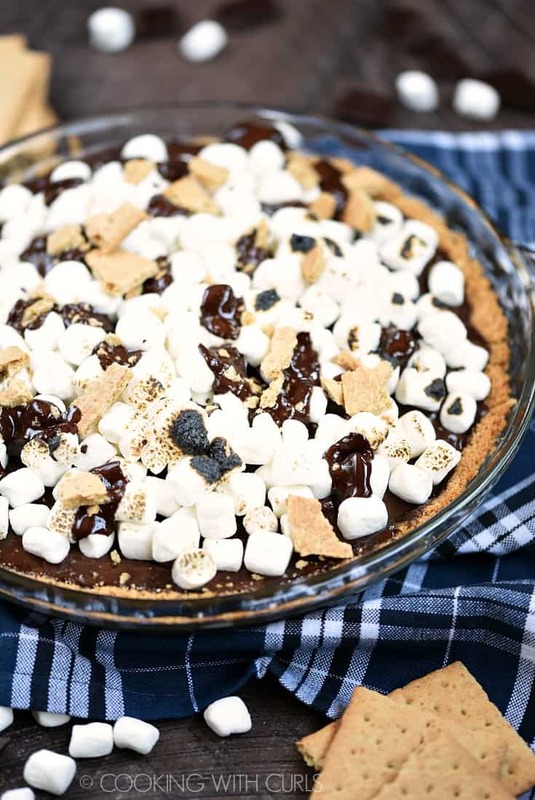 Slice the S’mores Ice Cream Pie and serve immediately….. 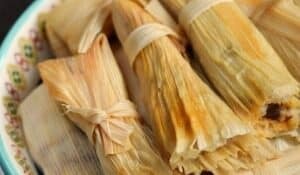 So creamy, so delicious, you won’t want to share!! For a more traditional flavor, use a Hershey’s Milk Chocolate bar and milk chocolate ice cream. Substitute gluten-free graham crackers if needed. Substitute coconut oil or non-dairy butter for vegan/dairy-free. 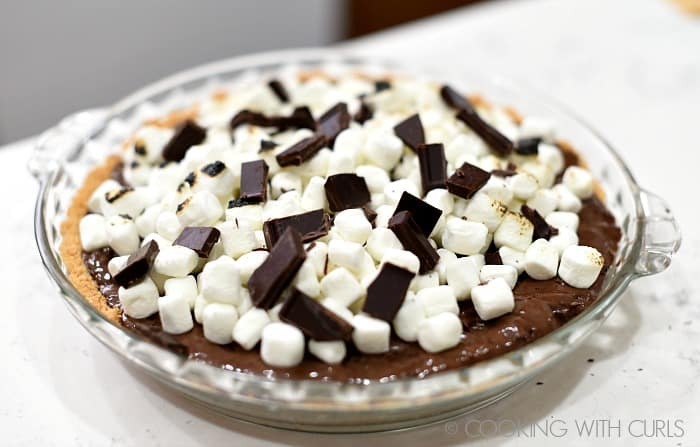 Feel free to add additional marshmallows or chocolate chunks for a taller, more dramatic looking pie. Not looking for a frozen dessert? Then you must try these S’mores Brownies! Do you go camping during the summer? I did when I lived in California, the weather was perfect for it. We tried once in Iowa, but ended up with the tent collapsing under the weight of the hail and rain. I haven’t gone camping since! 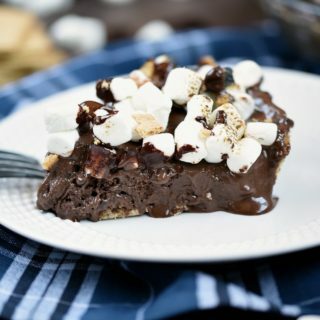 No campfire is required to make this cool and delicious S'mores Ice Cream Pie, although a blow torch is quite helpful! Place the graham crackers into the bowl of a food processor. Pulse to pulverize into crumbs. Add the sugar and melted butter, pulse to thoroughly combine. 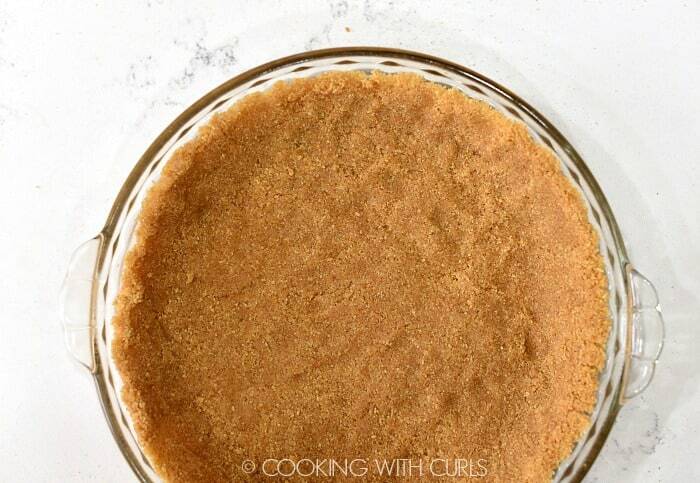 Press the mixture into a 9-inch pie pan, making sure the crust goes up the sides of the pan. Pour the softened ice cream into the cooled pie crust and smooth with rubber spatula. When ready to serve, top the frozen ice cream with the mini marshmallows and chocolate chunks. Slice the S’mores Ice Cream Pie and serve immediately. 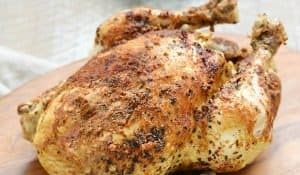 Freeze any leftovers. Nutritional analysis created using regular chocolate ice cream, and a regular chocolate bar. Oh, now THIS has my name on it! Pinning, and can’t wait to try it!